Patrick Stewart Star Trek Continuation Rumored | Nerd Much? One of the most iconic Captains in the series’ history may be returning to his chair. 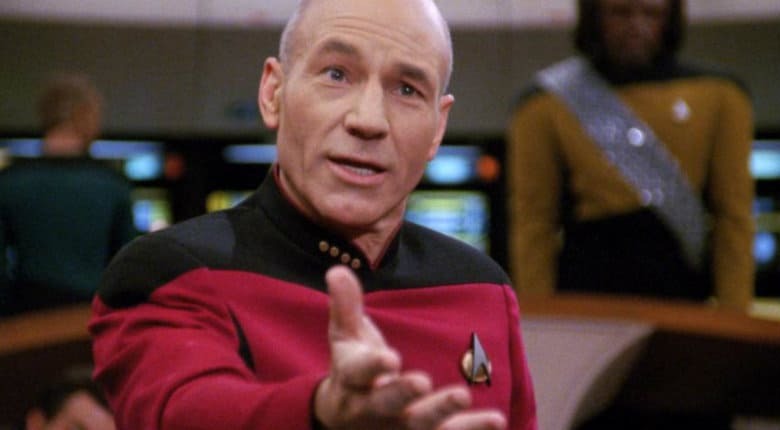 Reports from various outlets are indicating that Sir Patrick Stewart may be poised to reprise his role as Captain Jean Luc Picard in an upcoming Star Trek series. Following the success of Star Trek: Discovery on CBS All Access, the network hoped to expand the franchise further on various CBS platforms. To help do so, CBS Television Studios struck a deal with former Discovery showrunner Alex Kurtzman and his production team at Secret Hideout. Kurtzman has since partnered with producer Akiva Goldsman to develop a rumored “reboot” to Star Trek: The Next Generation. At the time folks were assuming a Sir Patrick Stewart Star Trek collaboration would be in the form of Discovery in some fashion. But with the later news that CBS was looking to expand their ownership of Star Trek into multiple franchises, that certainly elevated interest in the Captain’s cryptic tease. But more recently, Mirror has sources stating that Patrick is “close to securing a deal.” The outlet’s sources continued that “Patrick is looking pretty good to get back on board the Enterprise. There are some aspects of the deal to be finalized, but there is a verbal commitment from all parties.” The same source also said that there are “animated series also in the works”, so there’s a possibility that this what Patrick is being linked to as well. If a Patrick Stewart Star Trek deal is imminent, then it shouldn’t be too long before we hear about it.